"Nobody can take what you are"
Live recorded @ Museo di Sant'Agostino - Deposito Lapideo, Genova (Italy). March 17, 2018. This live set's location is the Deposito Lapideo at Museum of Sant'Agostino in Genoa, where I performed "We Are Still Machines" that looks to the near future, among ancient marble finds, catalogued and preserved therein. A superb blend. Man's true awareness, almost never fully developed and, at the same time, the condemnation to depend on his mechanical nature and lack of will, are at the center of musical and poetic speech of WE ARE STILL MACHINES that tells, through the codes of electronic music that belong to me, the final time of deception, malleability and modern weakness: where we are waiting for a savior who lift us from effort and suffering and hope for the hyper-technological future that will actually fall asleep us more and more, following a non-development line, even through artificial intelligence, making man increasingly alien from his hidden center. My new studio album, the second of my new artistic cycle, finally lands on Bandcamp, uncomfortable, restless and faceted. Man's true awareness, almost never fully developed and, at the same time, the condemnation to depend on his mechanical nature and lack of will, are at the center of musical and poetic speech of WE ARE STILL MACHINES that tells, through the codes of electronic music that belong to me, the final time of deception, malleability and modern weakness: where we are waiting for a savior who lift us from effort and suffering and hope for the hyper-technological future that will actually fall asleep us more and more, following a non-development line, even through artificial intelligence, making man increasingly alien from his hidden center. Men and women who will have to, or already have to, appear balanced, integrated or intimidated by fear, but above all to be dependent on macro or micro needs, sufficient to themselves or to a small group, influenced by a personal, narcissistic, narrow home-based center of gravity. You should preferably listen to the album's nine tracks, including two each ones lasting more than 14 minutes, all of a breath, in order to sense an invisible and strange overall effect I want think it could paradoxically reposition, even for a moment, the listener-man in his center. Because the real question, however uncomfortable and buried, will always resound alive and identical in each of us: who am I? In "Engage Me" kamancheh is played by Amir Mofrat, Iranian musician from Arak, to whom my biggest and sincere thanks goes. 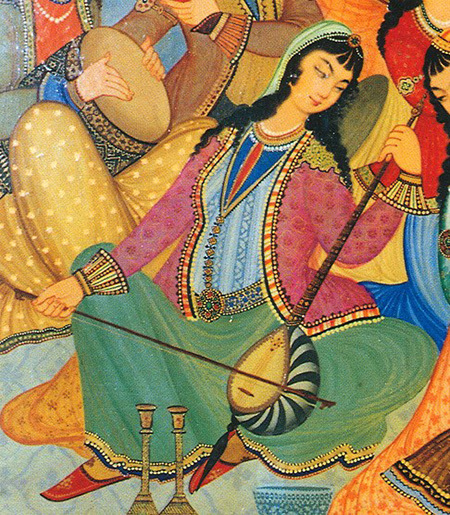 The kamancheh is an Iranian bowed instrument, used also in Azerbaijani, Turkish and Kurdish music and related to the rebab, its historical ancestor and also to the Byzantine lyra, the precursor of the European violin family. 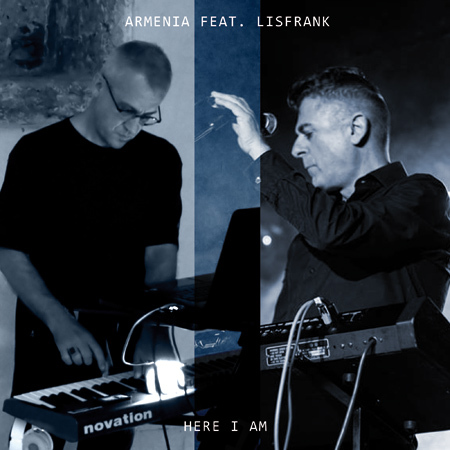 The closing bonus track, "Here I Am", is the result of a great collaboration with LISFRANK (https://www.facebook.com/lisfrank.official). 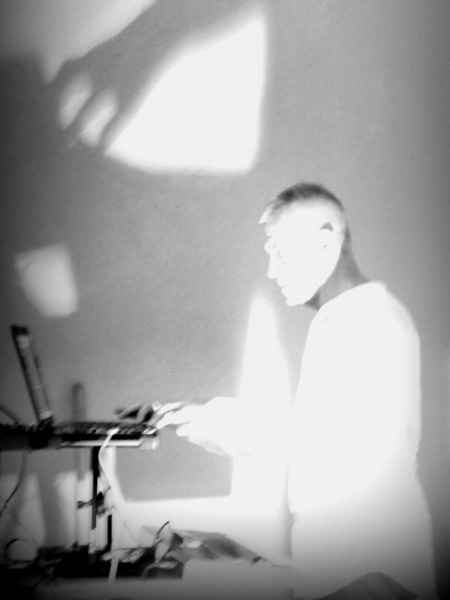 Fulvio Guidarelli (stage name Lisfrank), is an historic name, a pioneer of Italian synth wave, active since 1980 within the rising underground turmoil of Italian electrodark. In "Here I Am" (one of my tunes of 2011 specifically recreated here) he has brought his voice, his crucial style, text's invention, his synth, merging with the song in a unique way and bringing it to a new exciting level. I am infinitely grateful to him for the gift! On Bandcamp €. 7,00. Hidden bonus track in download included: "Impressions (Future Is Now)"
"Like a Dervish" is my killer Digital 45 of the year on Bandcamp. It anticipates the release of the album "We Are Still Machines" in 2017. With "Like A Dervish" I wanted to experiment with my voice, creating something intense and shareable, very close to the song format. The ambience is strange, mysterious, with unexpected openings toward the light. Rhythm doesn't give breath and the whole comes close to something that could be defined as "alternative dance". February 1983 is the date of birth of the musical group Elettra, become Distesa in 1987. The band is from the very beginning formed by two brothers Armenia residing in Genoa. The result has been the development, over a period of fifteen years, of a musical adventure that never came to the honor of the limelight. These vintage digital recordings are a document of their latest production in the late 90s, before terminating their artistic activity. Finally in 2015 my first live electronic album REBOOT comes, available in digital stores and on self-produced CD! 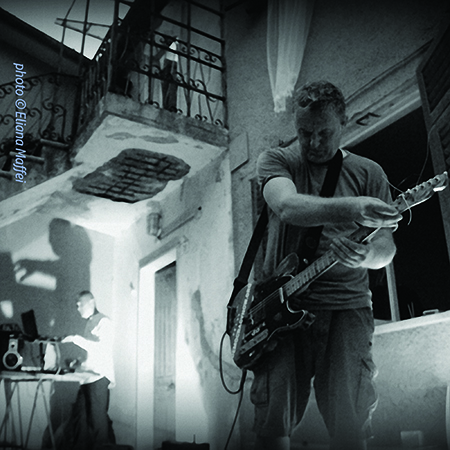 REBOOT, live recorded album at Centro Civico G. Buranello in Genoa, January 10, 2015, comes out. During the search of just the perfect gig, after having digitally stored on many occasions the electronic performance, the first live set in 2015 reveals itself as one to immortalize, thanks to a magical combination of characteristics: the feeling and right warmth, intimacy, public involvement and the excellent audio master which keeps energy! 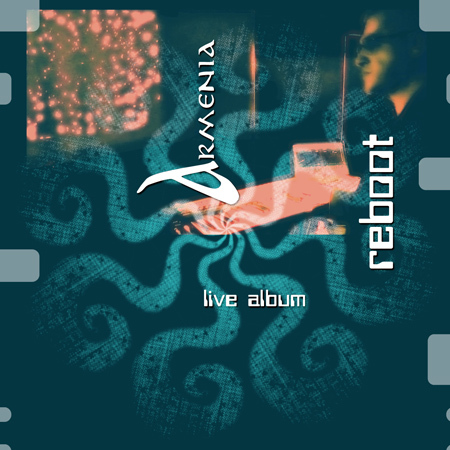 REBOOT, trustworthy picture of the whole concert, in addition to seven updated instrumental pieces from the previous studio album A NEW BEGINNING, includes three unreleased tracks, which were created during concerts in past two years: UNDER SKY, YOU ARE THE TASK (in double version) and LEAD ME TO LINES. A big thank you to Barbara and Claudia for care and constant support and to the whole association Duplex Ride for the strength of its intent: in particular one thank goes to Marco Cacciamani, Riccardo Canessa, Gerardo Fornaro, Angela Mambelli, Gianriccardo Scheri and Valerio Solari. Without their attention and their engagement in the artistic Genoese association that took care of the organization of the concert within the festival REPARTO OVEST, this release would not exist today. 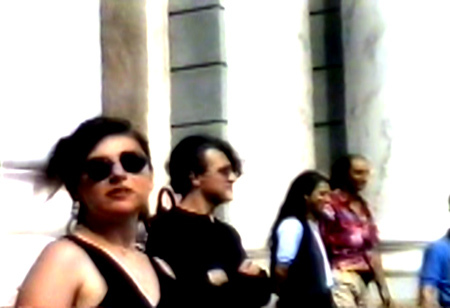 Album's graphics was created by Armenia and Marco Cacciamani for video capture. CD Limited Edition. 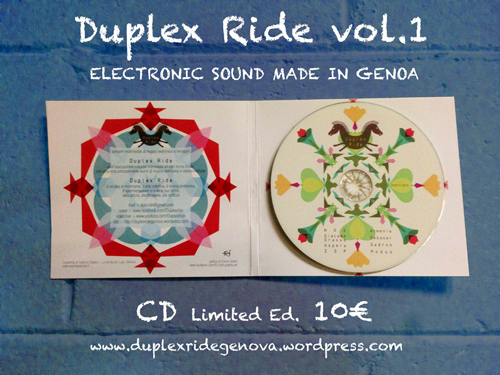 For sale only at "Doctor Music", via di Scurreria 24-26 R, Genova. CD includes "Saving Energy" by Armenia: live recording at Casa della Musica, Genova, January 11, 2013. Totally remixed and remastered in November 2018. It contains an hidden bonus track. Armenia consolidated here his experience as electronic musician, focusing on the search for naturalness that comes from the attention in the arrangements but also from the spontaneity of improvisation in studio, in a context where sound's synthesis and pulsation become charged with an obscure emotionality. "A new beginning" is a systemic work, an overall view, where Bush is overlying Gandhi, science crosses over into metaphysics and reassuring control reveals itself as modern man's obsession. From the explicit and implicit messages that are conveyed by the musician transpires attention to the perception of the world and to interpretation of the Essence. Musically, serial repetition and search for difference at the same time are two important stylistic figures. The rhythm, which often denotes tribal references, intensely carries out a grounding's strong function.